Word started coming out about Kellogg buying Bisco Misr shares, and almost all media outlets collectively panicked. And not because it’s a large corporate buying a relatively smaller one. As a matter of fact, it was because it’s an American company, after all, and Egypt is quite fond of conspiracy theories. What’s the big scare about, though? So far, all Kellogg has released is that they are trying to purchase Bisco Misr shares. Just the same way they’ve done with plenty of other food companies all around the world. 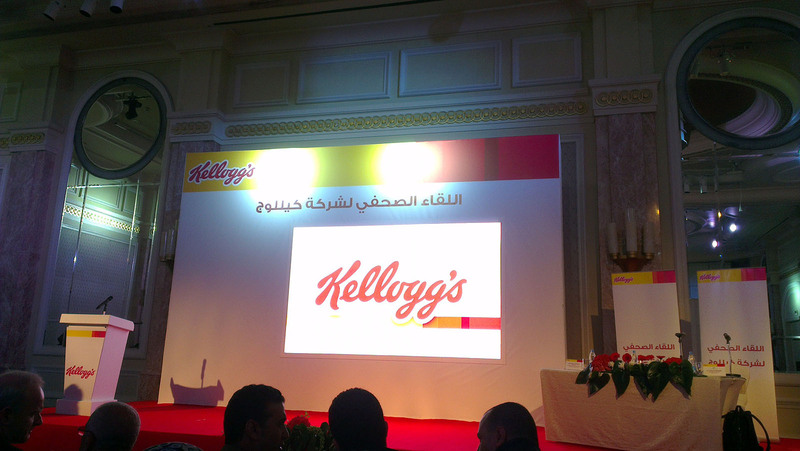 Kellogg’s held a press conference today where Eng. Amr Farghal, Vice President of Kellogg Central Eastern Europe, Middle East and North Africa, explained the situation and familiarized Egypt’s press with what the company is all about. After a demonstration of Kellogg’s history, Eng. Farghal went on to explain as much as he can about the deal they wish to make. Kellogg has done plenty of similar deals in the past, buying up food corporates such as Pop Tarts, Morning Star and recently even Pringles. He explained that Kellogg wants to expand in Egypt. And Bisco Misr is a great place to start, as it has been doing well in the market even during the past 3 years. Which is an achievement on its own. The most urgent question was whether or not Bisco Misr factory workers will be let go. To which Eng. Farghal said that although he cannot tell the future, he sees no reason as to why this would happen. Kellogg is looking to expand, not cut back. The scenario which took place with Pringles included more factories being built, not employees being laid off. There was also the question of genetically modified crops being used, to this Eng. Farghal assured that Kellogg follows the rules and regulations of each country. Finally, this is a deal in progress. The result of which cannot be foretold. We do hope that it works out for the best of both parties. Because we do love some Coco Pops!